FC Pune City will play their first Hero Indian Super League (Hero ISL) match of the 2019 calendar year when they face off against Chennaiyin FC at the Jawaharlal Nehru Stadium in Chennai on Saturday. The fixture will also be the Stallions’ first official outing under new head coach Phil Brown. The two teams have met on nine occasions in the past, but Pune are yet to register a single victory against Chennaiyin. Last season’s champions are enduring a tough season, having registered just five points so far. Chennaiyin are currently struggling at the bottom of the Hero ISL table, having lost 10 of their 13 matches. The last of these defeats came last week at the hands of NorthEast United FC. Despite losing the match 1-0, the two-time champions could have suffered a much bigger defeat had the Highlanders taken their chances. Chennaiyin have brought in CK Vineeth and Halicharan Narzary in the January transfer window. Both players were involved in Chennaiyin’s last match against NorthEast but looked out of sorts. Chennaiyin will hope that the duo starts firing sooner than later. The break also saw veteran defender Inigo Calderon leave the club due to personal reasons. The Spaniard has been a big part of the team over the last one and a half seasons and head coach John Gregory will hope someone can step up to fill the void. The two-time Hero ISL champions have roped in former Aston Villa defender Chris Herd as a replacement and it will be interesting to see if Gregory decides to hand the Australian a start right off the bat. 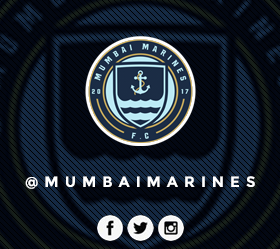 Chennaiyin will also be without captain Mailson Alves, who is serving a three-match suspension. After a disappointing start to the season, the Stallions parted ways with former head coach Miguel Angel Portugal early in the campaign. Under interim coach Pradyum Reddy, the team was inconsistent at best but seemed to have hit their stride just before the break, winning back-to-back matches against Kerala and Goa respectively. The Stallions will look to continue the winning run and improve their performances under new head coach Phil Brown, who took over the reins during the break. The Englishman will look to make the most of Pune’s plethora of attacking talents, which includes big names like Marcelo Pereira and Iain Hume. With Brown favouring playing with a 4-4-2 or a 4-3-3 system, Pune fans can expect to watch both talismanic attackers work in tandem to spearhead their attack. Youngster Ashique Kuruniyan was impressive for the Blue Tigers in the recently-concluded AFC Asian Cup in UAE and may have a big role to play in the new gaffer’s setup. Midfielder Marko Stankovic is reportedly down with a stomach bug and defender Matt Mills is nursing a calf injury. Both players are unlikely to play on Saturday. Chennaiyin FC: Karanjit Singh (GK), Tondonba Singh, Eli Sabia, Zohmingliana Ralte, Laldinliana Renthlei, Germanpreet Singh, Raphael Augusto (C), Halicharan Narzary, Andrea Orlandi, Gregory Nelson, CK Vineeth.